A medical alert system is like an insurance policy. It doesn't prevent a fall or injury, but it minimizes the damage when one occurs by allowing the fallen to call for appropriate help immediately. More than anything else, a medical alert system is a stress reliever, providing peace of mind for you and your family. There are numerous medical alert systems on the market, each with strengths, weaknesses, and features, which may or may not match your needs. The following five medical alert systems have received generally positive reviews and ratings. LifeStation offers security to seniors who are living on their own. If you push the button, you are connected to LifeStation's call center and they will call both emergency services and friends or family as you have them listed on your account. The company offers free delivery of all equipment and does not charge for setup. In addition, it appeals to some because there is no long-term contract. The system includes options for an interchangeable wristband, necklace, or belt monitoring. Unfortunately, the range of operation is only 400 feet. 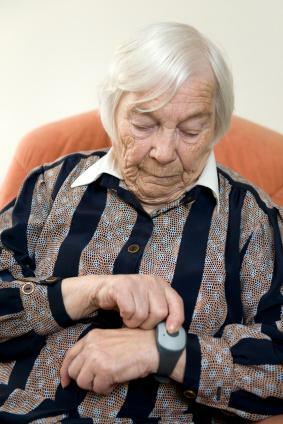 LifeStation does not offer a pill reminder option and does not include fall-detection technology. Customers can feel secure in dealing with a company that the Better Business Bureau gives the company an A- rating. Pricing varies depending on the features and services selected. When Does a Senior Citizen Need a Guardian? LifeFone has a range of 1000 feet in any direction. There is no activation or cancellation fee, and a contract is not required. Medic Alert Advice reviewed LifeFone and gives it an overall rating of 4.5 stars noting that it is a dependable system and a good value. Alert1 includes free spouse monitoring and a pendant or wristband option. They also offer a voice extender as an option which is good for those who live in a large house. The voice extender allows the patient to communicate with the monitoring system, even if they are far away from the base unit. Reviewers from Consumer Affairs gives this system three out of five stars, and it is a noted economical choice for a basic alert system. Medical Guardian offers a service that allows customers to use mobile devices rather than a landline to contact their customer service call center. However, the mobile service is not well advertised. You must ask for it when signing up. Client testimonials say that the system is literally a life-saver, and the company has an overall Better Business Bureau rating of A-. Philips Lifeline is one of the largest providers of medical alert services and it uses a pendant-style button for alerting a call center. Philips Lifeline systems tend to be more expensive, but do not require a long-term contract. In addition, the systems do include fall-detection technology. The Senior List gives Phillips Lifeline an overall positive review due to the variety of features that make the system versatile for many different situations. Before you agree to any contracts or to buying a system, do your research first. As you conduct your research, make a list of features or options that interest you. When you contact a company, be sure to ask about fees, including the cost of equipment, shipping, installation, activation, and, of course, the monthly monitoring fee. Also, ask about any contract you may be required to sign. Finally, ask about customer support. You should have phone support at a bare minimum. After that, email or website support, including a list of Frequently Asked Questions (FAQs) is also helpful.